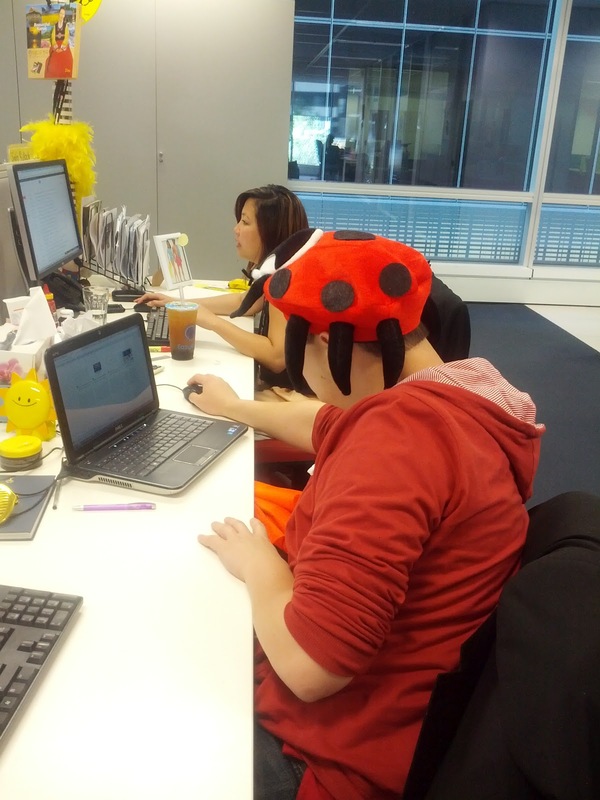 Sometimes in life, you just got to wear a lady bug hat like it's eating your brains. When I was sitting for my interview a while back, the usual greatest strengths and weaknesses question came up. I know what you're supposed to answer with these -- a weakness which is actually a strength -- but I decided not to. My greatest strength, I said, was that I am mostly aware of my own weaknesses and actively try to fix them. That's the truth. But it also means I do the exact opposite to what I'm meant to do with the weakness question: I reveal a weakness. For me, it was that I feel as though I live a sheltered, geeky life, and have difficulty relating to others. The great thing about my greatest strength though, is that all that can change. It's no longer my greatest weakness, although it is still a weakness. It's a long story (which I've saved you the sob story of having to read), but I've found that there are two pretty easy ways to deal with it. One is about two standard drinks. The other is to do occasionally do outrageously random things and deal with the social interactions that result. I'd rather not become an alcoholic, so sometimes, doing weird things just has to happen. Because after all, if you can deal with the stares as you walk down the street with a funny hat on, I'm sure there are plenty of other things you can deal with in life.